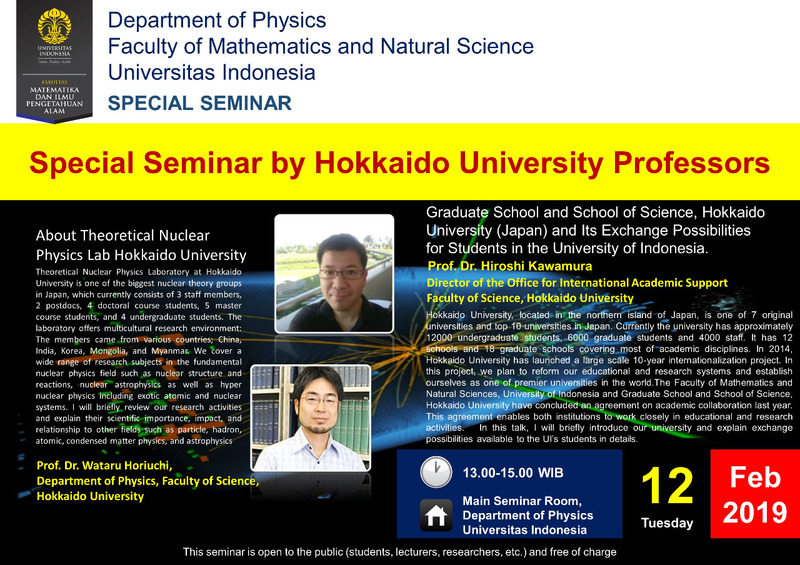 Since 2012, Department of Physics, Faculty of Mathematics and Natural Science, Universitas Indonesia, regularly hosts seminars on a weekly basis. 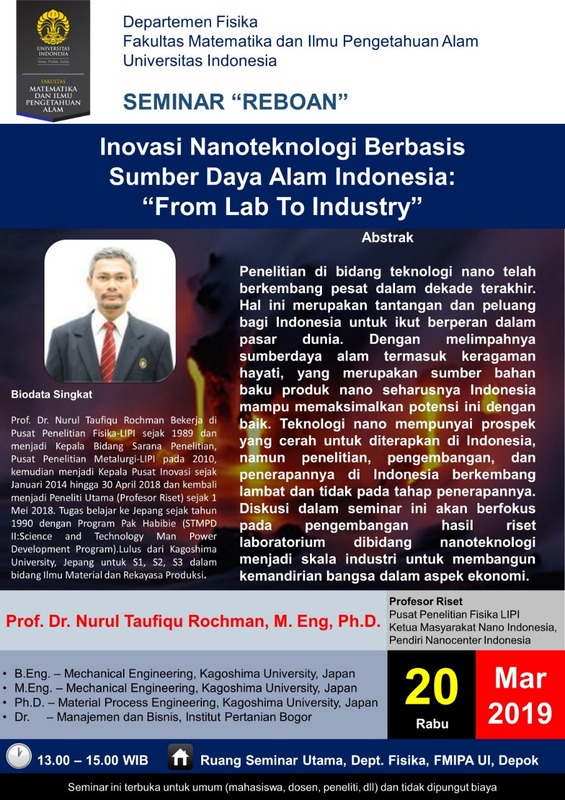 In the seminar, participants join faculty members and visitors as they present current research work. 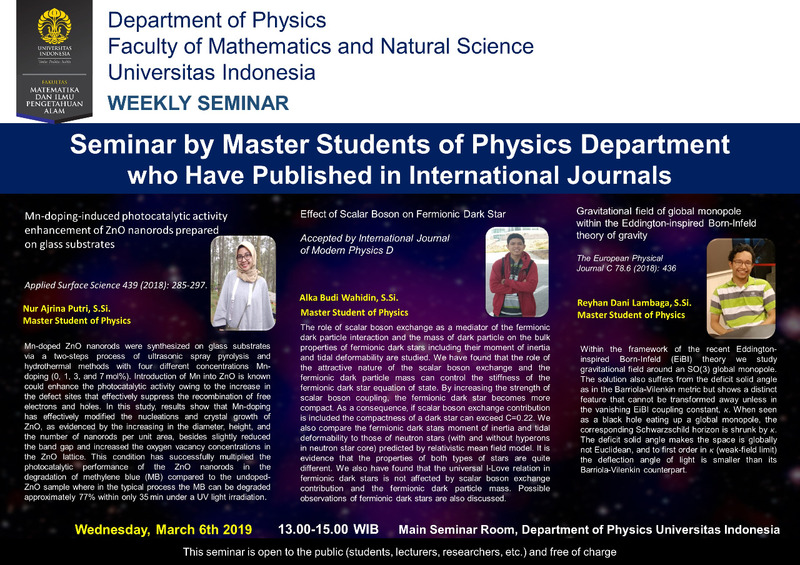 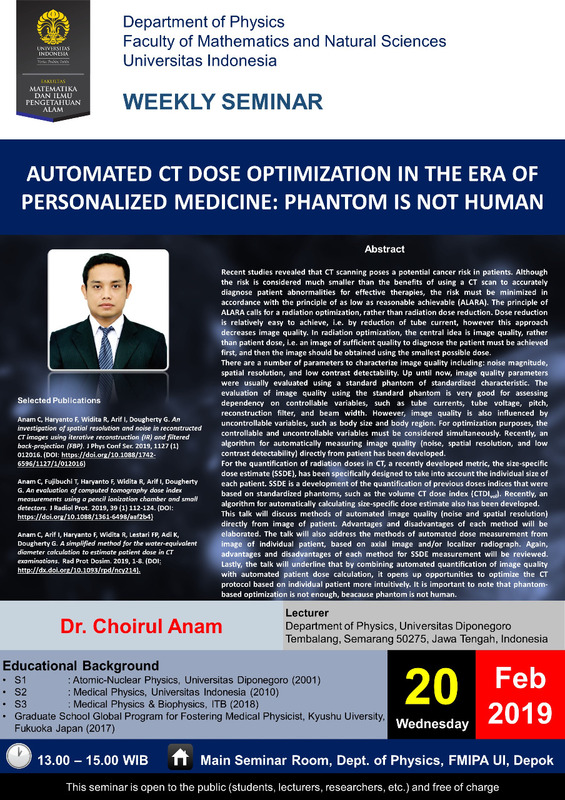 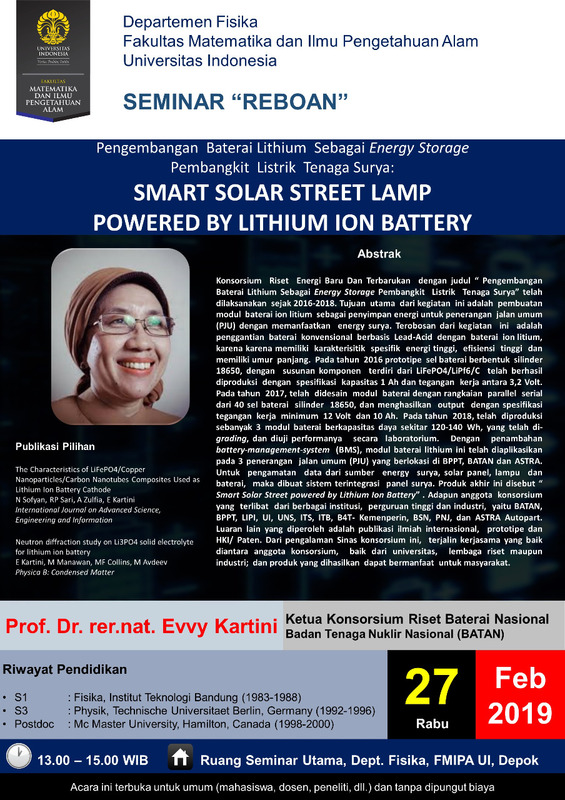 This seminar aims to promote scientific discussions between physicist across expertise as well as provide an overview of current research development of Indonesian physicists. 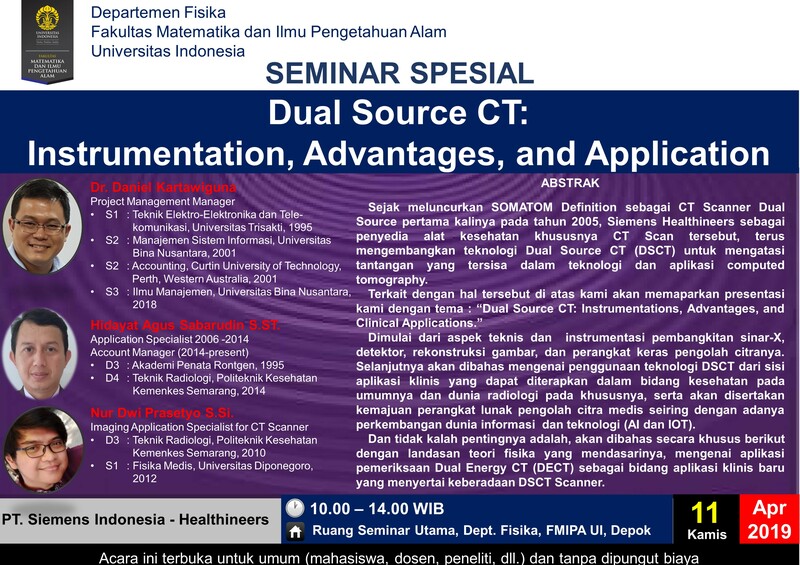 The seminars are organized every Wednesday during the academic years. 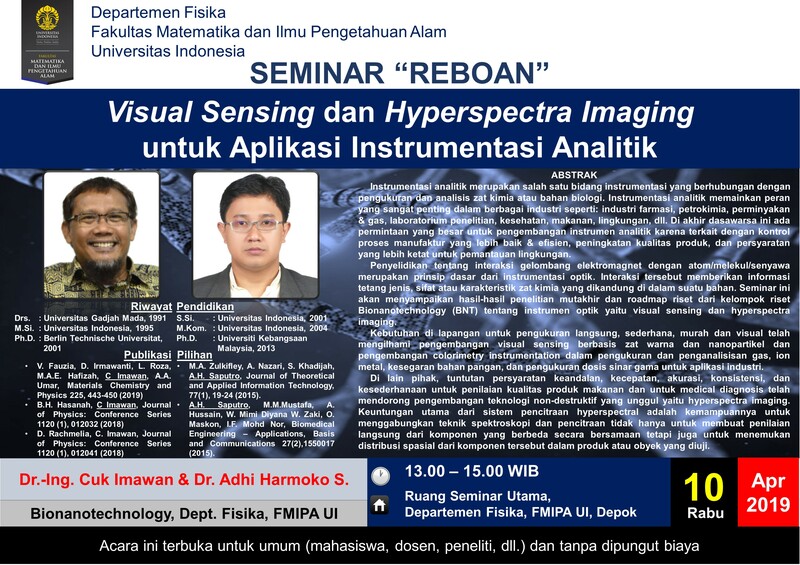 Place : Main Seminar Room, Department of Physics. 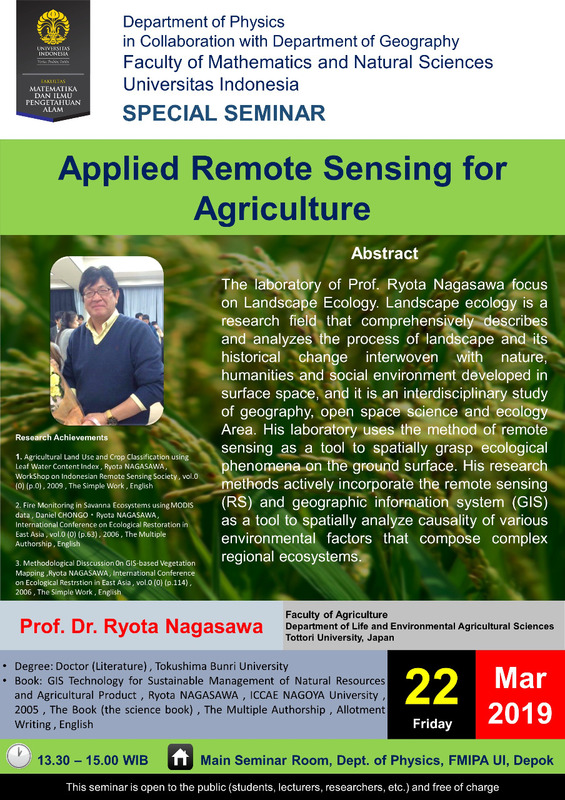 *Special seminars are scheduled irregularly for visiting guest/collaborators. 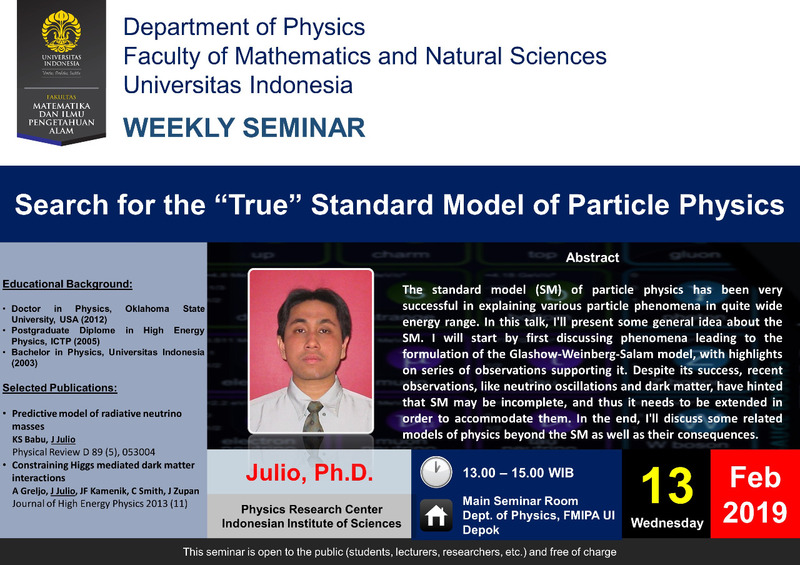 Audience includes faculty members, master and doctoral course students of department physics. 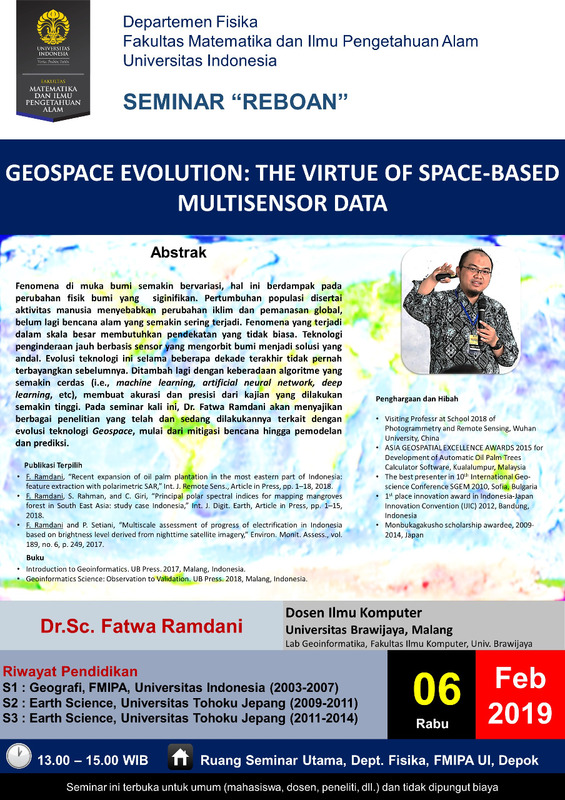 Undergraduate students are strongly encouraged to attend the seminar too. 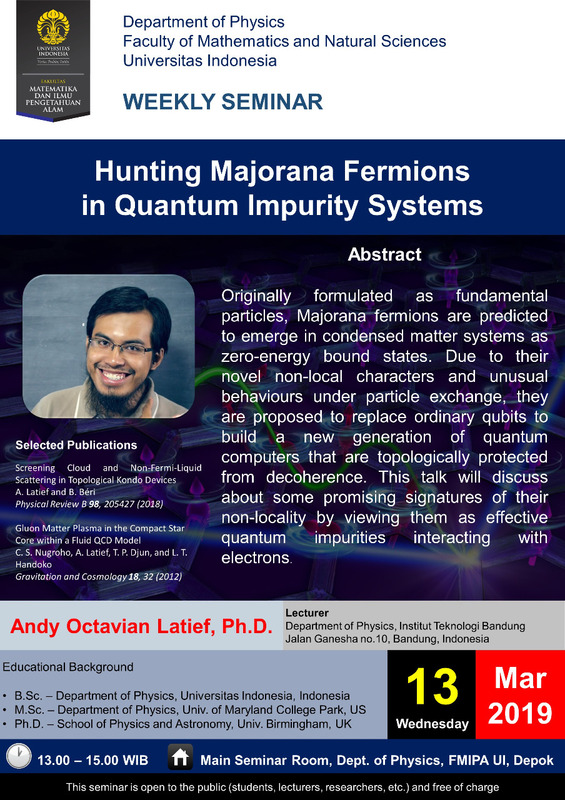 Invited presenters are expected to give a presentation about their research works on physics or related areas. 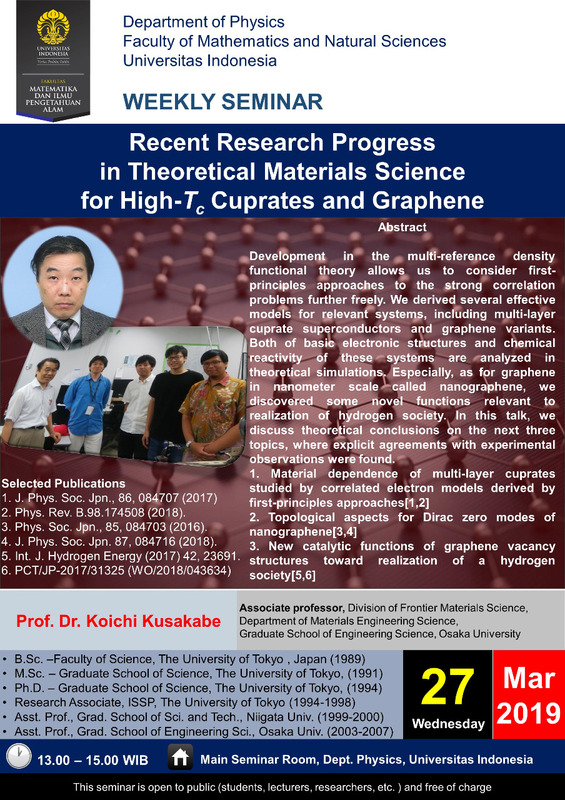 As the presentation is intended for students and faculty members of various physics specializations, it is recommended to give an overview of the current progress of the respective areas.